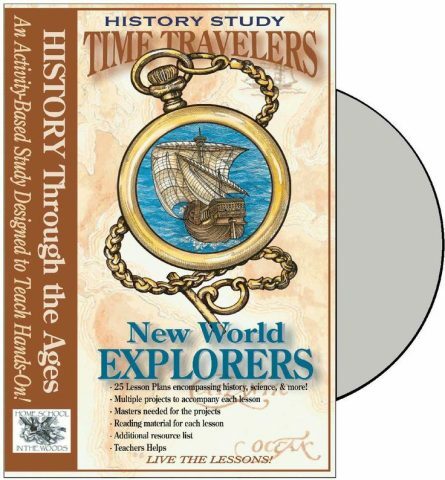 We are beginning our American History Timeline studies with Before 1630 or “Pre-America.” This time period was filled with voyages of exploration into lands unknown. 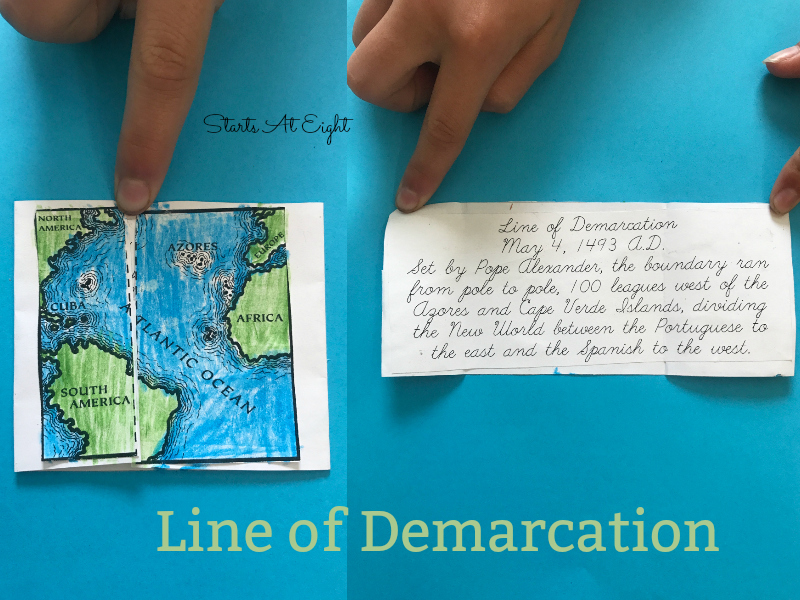 We are choosing to use a timeline format as the base for our studies. Each week will focus on a different section of the timeline. This time period was the Age of Exploration, with many coming from Europe and Spain to explore lands yet unexplored. 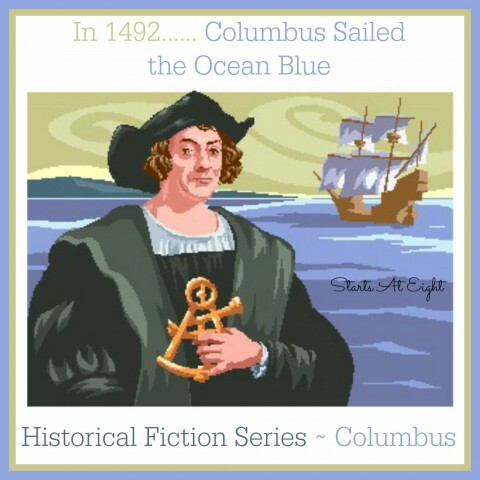 The ship voyages were long and rough, the relations with the natives in the new land were strained, and the struggle for who would claim to have found these new lands was real. 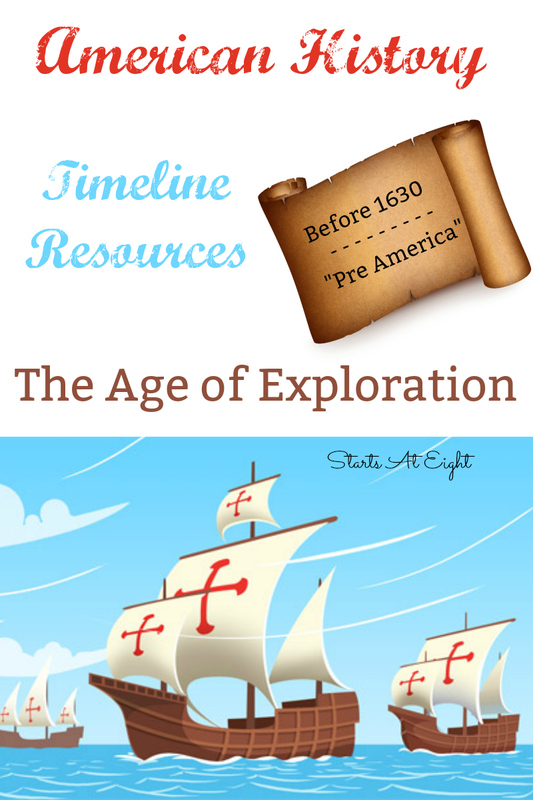 This “Pre America” time period focuses mostly on explorers. All the names in the red headlines are ones we will be adding to our timeline notebook. While we may not study each one in depth, we will touch on them in some manner in relation to the given time period. Each time period will be covered over the span of one week. 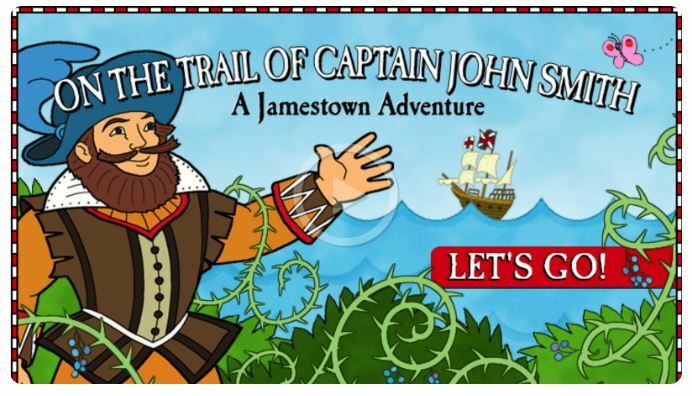 Many of the projects and brief readings for the explorers in this time period come from the Home School in the Woods – History Through the Ages – Time Traveler Series. In the case of this time period we are using History Through the Ages – Time Travelers – New World Explorers. 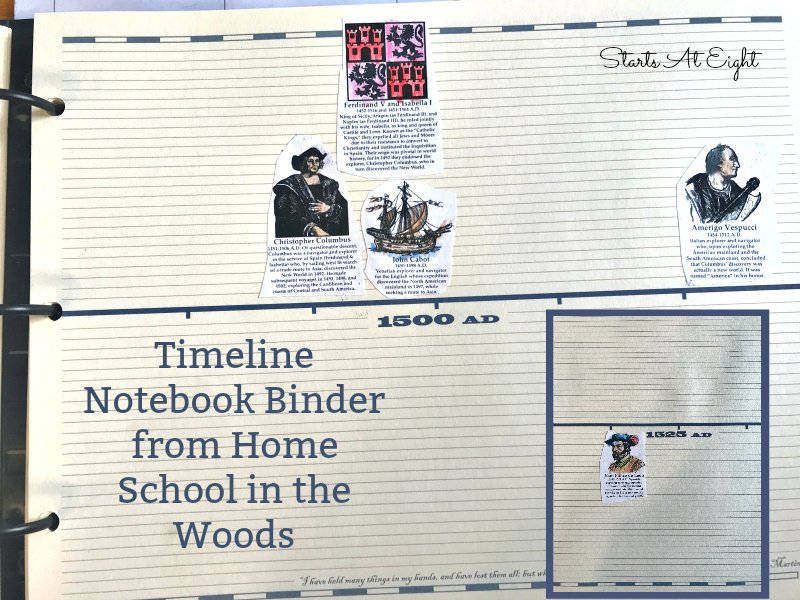 Since our history studies are more free flowing, we will not only be keeping our American History Timeline notebook (as seen in the photo below) from HITW but we will also keep a 3 ring binder to hold all of our readings, writings, lapbook components, and projects. Not sure how to do all this? 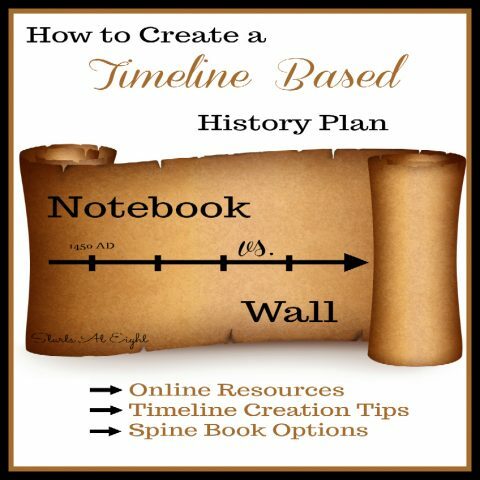 Check out How to Create a Timeline Based History Plan for all the details! * Please note that what movies you choose to watch with your children is a personal choice. Be sure to screen the movies and decide for yourself if you want to show them to your children. 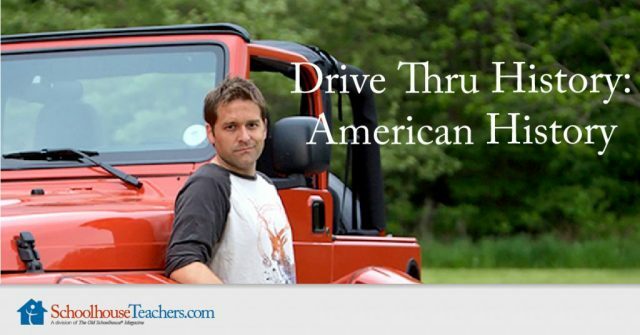 Schoolhouse Teachers.com offers access to multiple Drive Thru History Series such as American History and Ancient History! We are so excited to have a membership this year! 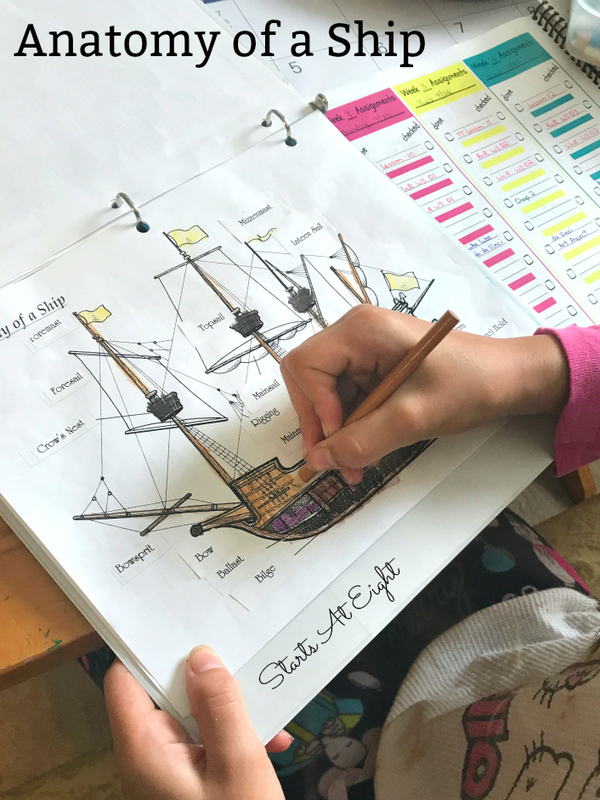 Along with each of these videos Schoolhouse Teachers has printable worksheets with straight forward comprehension questions as well as essay questions (all with an answer key) for every episode! It’s a great way to study American History! Books Read: Chapters 8-11 Around the World in a Hundred Years, Who Was Leonardo da Vinci? Project: Watch this brief video (after watching and reading the above materials, answer the following questions to be put in your student binder. Who is writing the compact? Why did the Pilgrims decide to go on this voyage? Describe the types of people onboard the Mayflower. What were their reasons for making the journey? Why might they have had different interests? What were the most important elements of the Mayflower Compact? Did sailors sign the Mayflower Compact? Did women sign it? Why or why not? What was the key provision of the Mayflower Compact? Why were people aboard the Mayflower willing to sign it? Why do you think it was important for advancing the ideas of democracy? Who benefited from the compact and who did not? 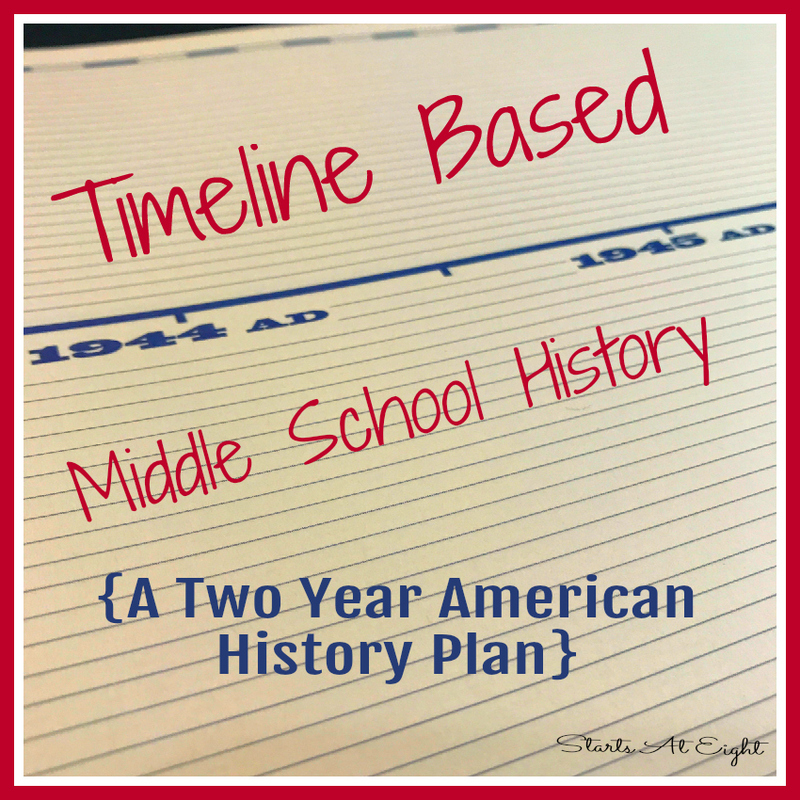 Be sure to bookmark this Timeline Based Middle School History page and check back each month as we add our resources and projects for each time period! We will spend approximately 5 weeks per time period. With each time period below I will include a list of multiple book and video resources, as well as a project or two for that time period. Be sure to click on each time period heading (as it gets linked along the way) to see what we ended up including in our study, and how we did it.